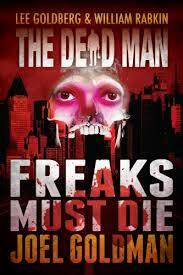 Freaks Must Die is the 10th Dead Man book and 1st one written by Kansas writer Joel Goldman. You might expect it to take place in Wichita or Topeka, but you’d be wrong. 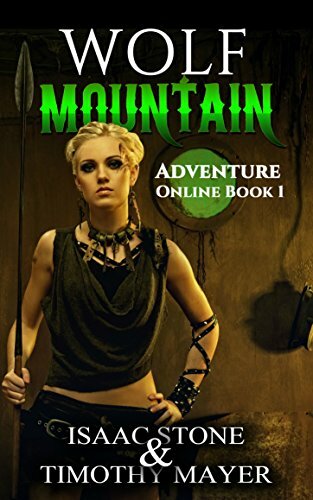 The book starts out in eastern Pennsylvania and most of the action happens in New York City. Goldman is a trial lawyer by profession and has written several thriller novels. But this book isn’t a courtroom drama. While traveling outside Philadelphia, Matt Cahill, the modern Lazarus, stops a robbery. The intended victim, a diamond merchant, suffers a heart attack. But while Matt’s trying to comfort the dying man, he discovers the robbery was a set-up: the victim was actually trying to make a payment to the men who’d kidnapped his son. Guilt-stricken, Matt looks up information on the man he tried to help and heads to the big city. In New York City, Matt discovers a network of “freaks”, people who look different from ordinary humans. Many of them have extraordinary powers as well. Their presence has attracted the attention of the mysterious university which has been after Matt because of his resurrected powers. Matt makes the company of a girl with translucent skin and a homeless man to recover a kidnapped “freak” boy. My one pet peeve with the series is the authors tendency to treat Matt’s trusty ax as the wrong kind of weapon. He’s used it numerous times to chop off the limb or head of one of the bad guys. Chopping through a limb is not something most edged weapons can readily do. And an ax designed for chopping wood works as a mass weapon. It crushes it’s target as while slicing. It’s a minor point, but one I felt should be brought up. No manifestation of Mr. Dark in this episode. Freaks Must Die has more in common with Tod Browning’s Freaks than his Dracula. I did like seeing the minions of the “university” make an appearance.